For five consecutive years, the makers of the HERDEZ® Brand, the No. 1 salsa brand in Mexico, have celebrated the Day of the Dead, a culturally rich and historic holidays that resonates among many societies alike. This year the HERDEZ® Brand celebrates the Day of the Dead by encouraging participants to create their own works of art around the holiday through the “Día de los Muertos Celebration Through Art” Contest. One lucky grand prize winner will be selected to receive $3,000 cash while 100 honorable mention winners will receive a custom sugar skull t-shirt. The artistry of Day of the Dead has long been seen in intricate sugar skull designs, intimate altar arrangements and on the very skull and crossbones stamped on the traditional Pan de Muertos. To enter the “Día de los Muertos Celebration Through Art” Contest participants can download any one or all of four unique Day of the Dead custom page coloring contest designs available exclusively on www.HerdezTraditions.com/DayofTheDead. Once downloaded, participants can customize their coloring sheet, submit their entry via www.herdeztraditions.comand share on their Instagram and Facebook accounts- enticing their followers to vote for them. The entry with the most votes received will secure the $3,000 grand prize. Additionally, 100 honorable mention winners will receive a custom sugar skull t-shirt. The contest will run from October 4, 2016 through November 4, 2016. For more information on the HERDEZ® Brand “Día de los Muertos Celebration Through Art” Contest visit, www.HerdezTraditions.com/DayOfTheDead. Follow HERDEZ® Brand via social media on Instagram and Facebook @HERDEZTraditions and on Twitter @HERDEZBrand. HORMEL® BLACK LABEL® BACON DOESN’T FOLLOW THE BACON CRAZE, IT CREATES IT The makers of HORMEL BLACK LABEL bacon continue to break new frontiers in both products and marketing, because that’s what category leaders do. HERDEZ® salsa is made the authentic way, using fresh ingredients like tomatoes, onions, chile peppers and cilantro. 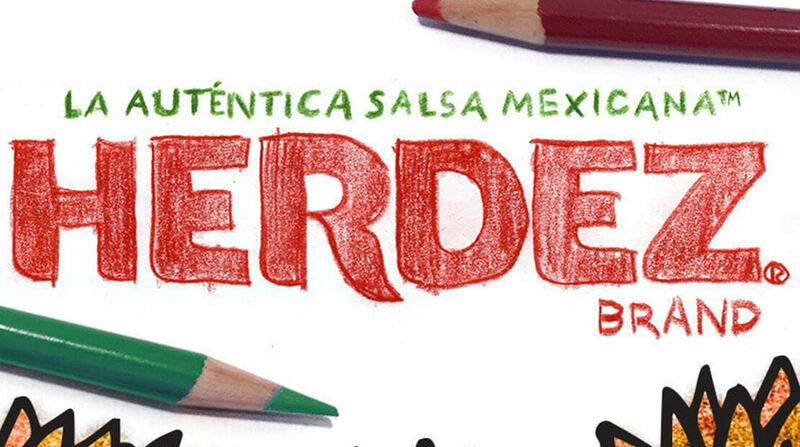 Today, HERDEZ® Salsa is the No.1 selling salsa brand in Mexico and a growing staple in homes in the United States. HERDEZ® authentic Mexican products are available nationwide at major grocery stores. Visit www.herdeztraditions.com for more information. HERDEZ® Brand is a division of MegMex Foods, LLC. Founded in 2009 in Southern California, MegaMex Foods, LLC is a joint venture of two giants in the food industry-Hormel Foods and HERDEZ del Fuerte, S.A. de C.V. MegaMex Foods, LLC, prides itself on a keen expertise of marketing, sales and chain supply management making them an excellent partner for retail and foodservice companies.